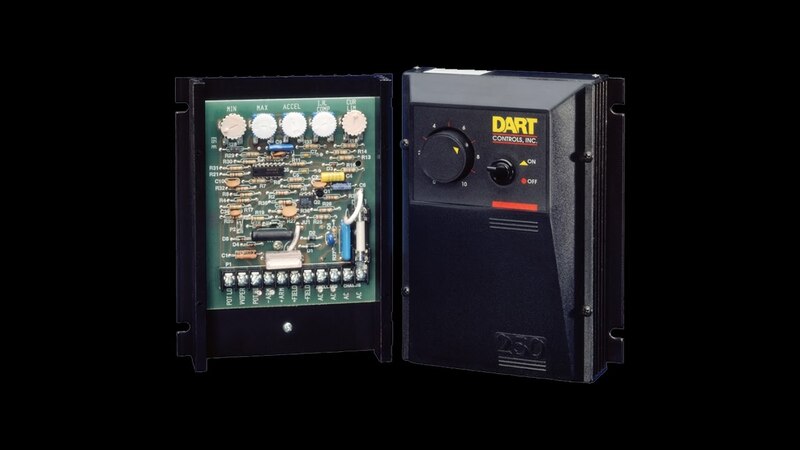 Since 1963, Dart Controls has been designing and manufacturing some of the world’s most reliable variable speed motor drives, controls and accessories for electric motors in our Zionsville, Indiana facility. Through continuous innovation, a relentless dedication to the industry, and a commitment to high quality products and dependable delivery Dart Controls has retained the leadership position it established over 50 years ago. Always seeking ways to provide total value through innovation, Dart recently expanded by adding a new Engineering and R&D facility to our Zionsville, Indiana location. Our mission is to be the company you want to do business with. We pursue this goal by continuously seeking ways to improve our quality, efficiency, and services while maintaining our commitment to our customers, employees, shareholders, and suppliers. Dart Controls, Inc. is dedicated to produce and provide certified products, manufactured and tested with proven quality methods in order to maintain design conformance, and then shipped and serviced on-time to meet our customer’s needs and related interested parties’ needs. We will seek the highest quality levels possible through continual improvement of our product design, lean production processes, product testing, customer service, sales, distribution and marketing systems. Dart Controls is proud to have one of the most loyal and dedicated work forces available anywhere in the world. With an extremely low turnover rate, you can rest assured that your drive is being assembled by a team of associates that understands their job very well and knows the importance of doing it right. From our headquarters and manufacturing facility in Zionsville (Indianapolis), Indiana, we have produced and shipped more than 2,000,000 variable speed drives. In addition to the many standard, off-the-shelf products offered, Dart Controls is also a ‘Total Solutions Provider’. We will develop ‘packages’ of sensors and drives to meet your specific needs and custom-engineer products for your unique application. Dart Controls is a Customer-Driven company, so we listen to your needs. If those needs require new or customized products we will work with you and your engineering team to provide a total solution. With Dart Controls you can rely on an immediate response for product or service information, as well as rapid order processing, prompt shipments, and a knowledgeable service staff. We also provide comprehensive instruction manuals for each of our products and these manuals, as well as other valuable time-saving information, can be found and downloaded from this website. Our sales representatives cover 48 U.S. states, Canada, and Mexico, and our products are stocked by local distributors in most major cities in the U.S., Canada and certain overseas countries. Over the last decade Dart has implemented the concepts of lean manufacturing. Through the use of lean tools such as Standard Work, Kanban, Kaizen, JIT, Visual Control Systems and Poka-Yoke (error proofing) we continue to improve and refine our processes and practices. The benefit to our customer is managed cash flow from a reduction to their inventory made possible by our ability to reliably deliver any size order with an extremely fast turnaround.